Learn as much as possible about the wonderful ways that your body is changing and about how your baby is growing. Talk to your mother, your friends, and other women about pregnancy, labor and birth. Attend an early pregnancy childbirth class, read books and watch videos about normal pregnancy and childbirth. Think about whether you want to give birth at a hospital, at a birthing center or at home. Choose a health care provider who will be able to assist you in your chosen location and who helps build your confidence for pregnancy and childbirth. Eat a well-balanced diet, paying attention to the recommendations by the U.S. Department of Agriculture. Make your plate colorful—eating lots of vegetables and fruits every day. Eat fish three times a week for your baby's brain growth and development. Drink lots of water—six to ten glasses a day—and choose (real) fruit juices and skim milk instead of sodas. Avoid substances that may be dangerous for you and your baby, such as cigarettes, alcohol and street drugs. Do not take any medications, even over-the-counter medications, unless you have discussed them with your health care provider. Stay active! Continue exercise programs that you were doing before you became pregnant according to the recommendations of your health care provider. If you were not exercising before becoming pregnant, consider walking, swimming, prenatal exercise or prenatal dance classes. Regular, moderate exercise makes labor shorter and less painful and decreases the risk for cesarean surgery. Get plenty of rest. Listen to your body to determine if you need short breaks during the day and to determine how many hours of sleep you need at night. Talk to your baby and enjoy your growing bond. Research now shows that babies react to the sense of touch as early as ten weeks of pregnancy. A little later, your baby can react to light, your voice, music and other sounds. Manage the stress in your life. Keep communication open with your partner. Build your support system. Learn and practice meditation. Take a prenatal yoga class. Learn stress management techniques such as slow, deep breathing and other relaxation strategies in Lamaze childbirth education classes. Plan for your baby's birth. Learn as much as possible about what birth is like in the location you have chosen. 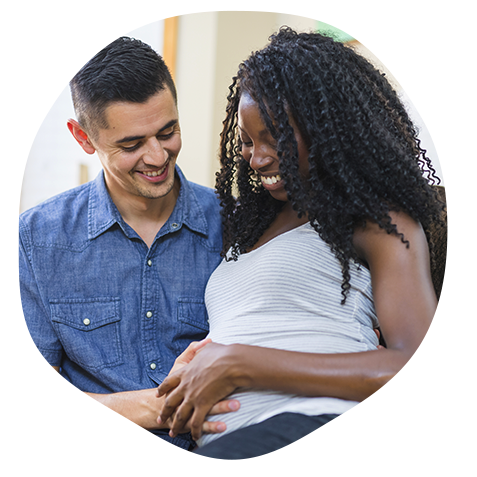 Ask questions about the Lamaze Six Healthy Birth Practices that are known to promote safe and healthy birth. Lamaze classes will help you understand what happens during childbirth. You and your support team will learn positions and movements that will aid labor progress and ways to cope with the stress and pain. Enjoy this special time in your life! Your family and friends can help make the most of this wonderful transition. Have confidence in your body's ability to grow, nourish and give birth to this baby as women have done for centuries.